Can v do a video call if not den what is dere in front like a camera? ?plzzz reply soon. battery is very bad dont buy this mobile. GERALD, 06 Jul 2011why the battery of xperia cannot last for a day,what should i do to improve mu phone battery.I just acquired this mobile a month ago but its discouraging because even if i did not use the phone the battery drain. Please give me solution to my problem. "ROOT" this X8 and INstall "xRecovery" AND Download "Custom ROM"
AnonD-6678, 06 Jul 2011hey anybody,,, does rooting the phone delete the apps already instaled in the phone memory?... moreHey Shubhankar, you can download "Superoneclick v1.9"
What do you mean by rooting? If your mean reformatting the phone or restoring it to original settings, it will remove all installed apps. The battery that my x8 has is not that bad. I listen to music for 3 hours and still half battery. I charge it only every other day or sometimes 3 times a week only. does rooting the phone delete the apps already instaled in the phone memory?? can the x8 be upgraded to 2.2 or above?? majid, 05 Jul 2011Is this phone updatable to android version 2.2?yes, I'm using floyo 2.2.9, however if your looking for an official update, no. I used this phone nearly 5 months and i happy to say it so far so good no trouble at all. the reason why am i brought this phone because of GPS and Wi-FI , those features work great. in sri lanks GPS accurate is good but only problem is less battery backup, however X8 is superb 4n made by SE thanx. 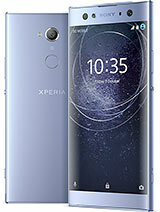 why the battery of xperia cannot last for a day,what should i do to improve mu phone battery.